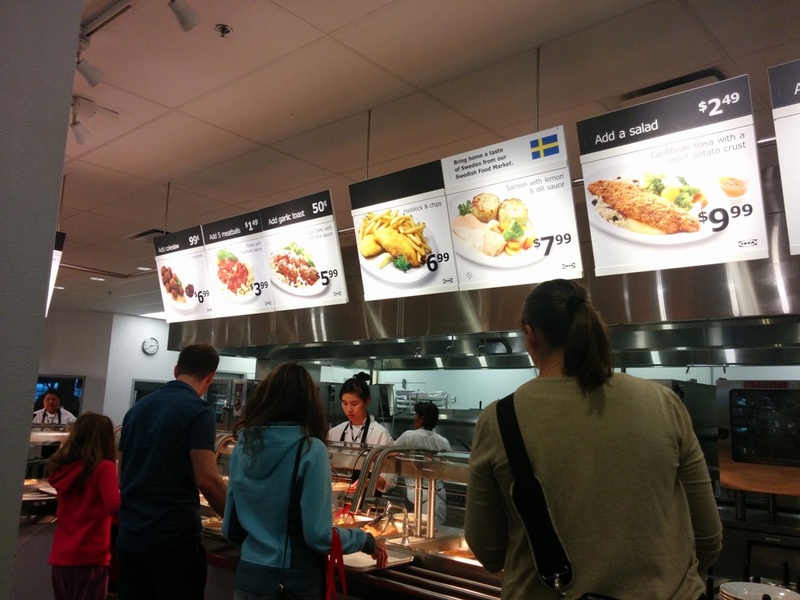 I haven’t been to IKEA since their strike was over and I keep hearing about their meatballs so now was my chance to try them! The restaurant is on the second floor and it is a cafeteria style dining area. This entry was posted in American/Burgers, Food Reviews and tagged carrot cake, fries, froyo, frozen yogurt, hotdogs, IKEA, mashed potatoes, meatballs, pasta.